Wholesale suppliers and exporters of Walnut Shells and Dried Walnut Fruit. A large deciduous monoecious tree with tomentose shoots, bark grey, longitudinally fissured, leaves alternate, imparipinnate, leaflets entire aromatic, flowers small, yellowish green, male in pendulous slender catkins, female in 1-3 flowered terminal catkins, fruits drupes, 5cm long with leathery exocarp, woody wrinkled, hard endocarp enclosing 4-lobed, corrugated, oily, edible seed. A globulin, juglansin, has been isolated from the edible kernel. The nitrogen distribution of the globulin is as follows, basic N, 5.41, non-basic N, 11.51, humin N, 0.15, and amide N, 1.78. The globulin contains cystine and tryptophane. The walnut shells are ideal as the gritty, rough agent in soap cosmetics and dental cleansers. Walnut scrub contains ground apricot seeds and crushed walnut shells to exfoliate and aloe vera to moisturize and soothe. Walnut scrub spreads easily over the skin into a dense lather. 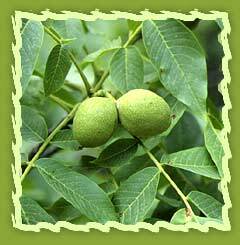 Walnut Oil is reported to have many benefits, when used in the healing of wounds and skin problems. The oil is obtained by expression from the nut. About one half of the fresh kernel inside the shell of a quality dried walnut is oil. There can, of course, be significant variations depending on growing conditions in a particular region and also from season to season. Walnut oil is useful against fungal and parasitic infections. It may also help eliminate warts, and when rubbed on the skin, walnut is reputed to be beneficial for eczema, herpes, psoriasis, and skin parasites. The oil has traditionally been used externally in the treatment of gangrene, leprosy, and wounds. Walnut in a massage blend has great emollient qualities and is a good choice to include when mixing a massage blend or preparing a carrier base. Very unsaturated, walnut oil presents good moisturizing, anti-aging, and regenerative and toning properties, and can be used in all anti-wrinkle products and creams for dry, normal, and mature skin, body and hygiene products, massage blends, and lip balms, etc. Leaves are astringent, tonic and anthelmintic. The leaves and bark are antiscorbutic and detergent, and are useful in herpes, eczema, scrofula and syphilis. 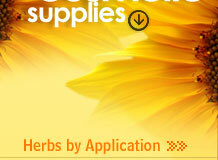 The fruits are sweet, emollient, thermogenic, aphrodisiac, tonic and carminative. They are useful as alternant in rheumatism. The expressed oil of the fruit is considered useful against tapeworm and is used to strengthen and lubricate the muscles. The kernels are said to posses aphrodisiac properties and are recommended in colic and dysentery. Removal of paint, flash, burrs, and other flaws in plastic and rubber molding, aluminum and zinc die casting, and electronic industries. As a sand replacement for paint removal, graffiti removal and general cleaning in restoration of buildings, bridges, and outdoor statuary. For aircraft engine clean out For cleaning steam turbines.